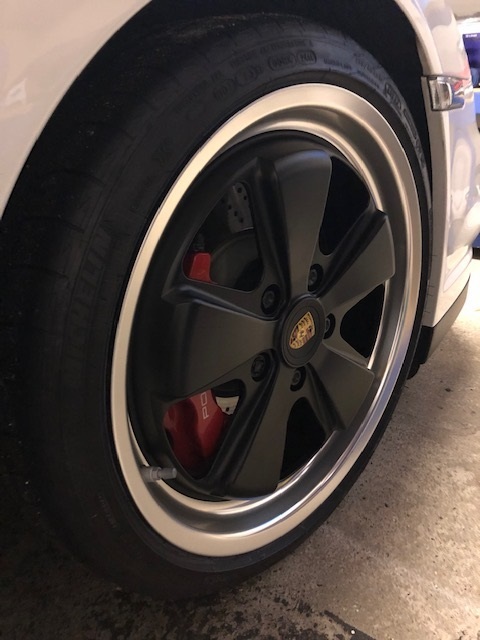 19" genuine Fuchs, black with silver rim, with OE TPM, Michelin Pilot Sports, colour matched centre caps, black bolts and security bolts - supplied by JZM in November 2018. 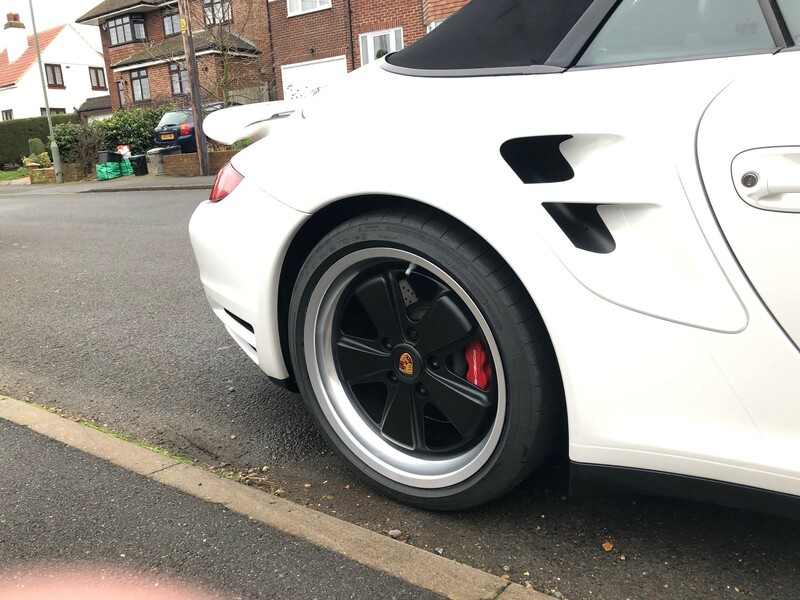 Wide body fitment taken off my 997 gen2 Turbo. They have done less than 1000 miles. £3950.00 collected from North Kent. Could you list the offsets on these please. And are you running spacers with them? They are a direct fit on the wide body cars so no spacers needed on the Turbo. 5 minutes off junction 4 of the M25. Hi. 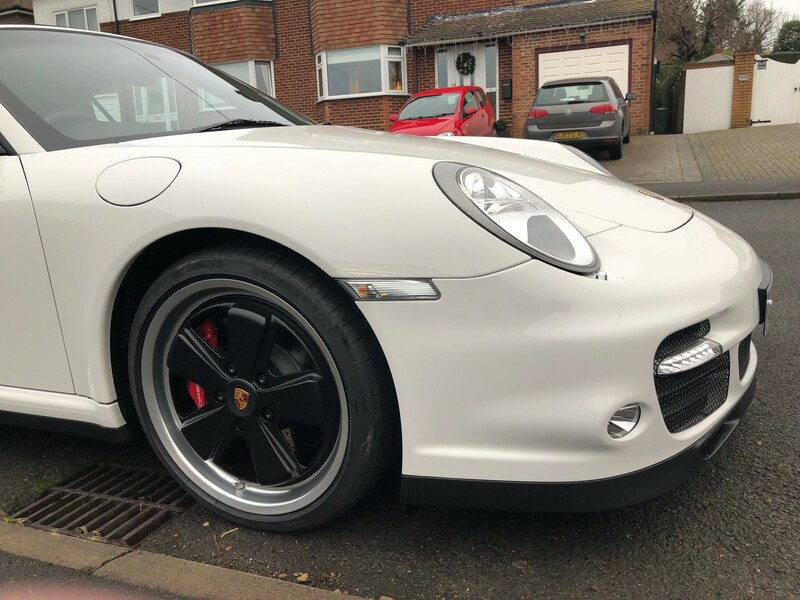 Would these fit a 997 gen 1 c2s? I note you state they are wide body compliant and obviously my car is narrow body. 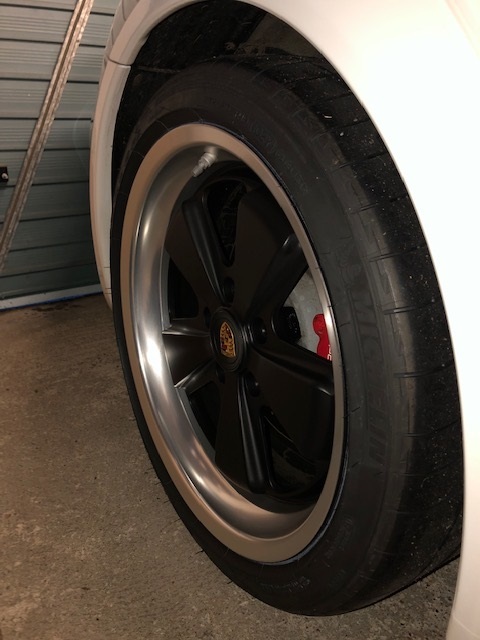 To be honest I don't know its about the off-set, they will fit on your hubs but my instinct tells me that these wheels will stick out beyond your wheel arches. Would you be so kind as to ask jzm the question on my behalf please? Genuinely interested in the set if compliant with my vehicle. I will ask but I think the only other option might be to fit slightly narrower tyre's on the rears. I have been in conversation with JZM's technical director who has confirmed that the Fuch's can be fitted to a narrow bodied car and has sent me the photo below. The Tech Director told me that the wheels will fit but will need slightly narrower 295mm tyres - this is what I expected. 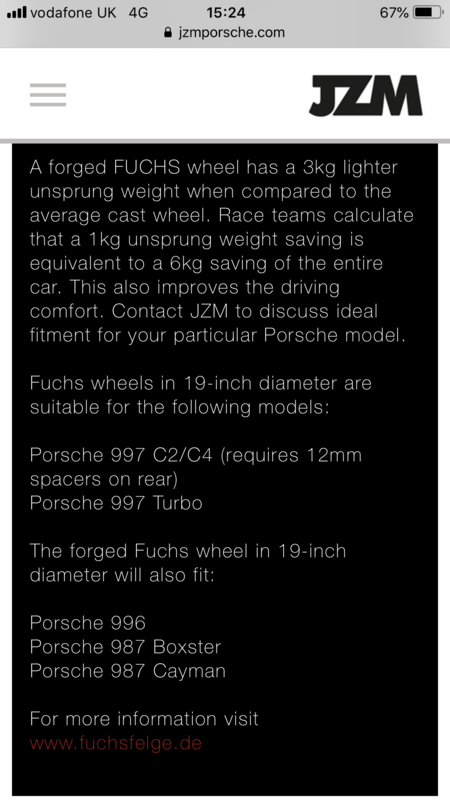 JZM website has a link to the Fuchs website which states a 997 C2/C4 needs a 12mm spacer. 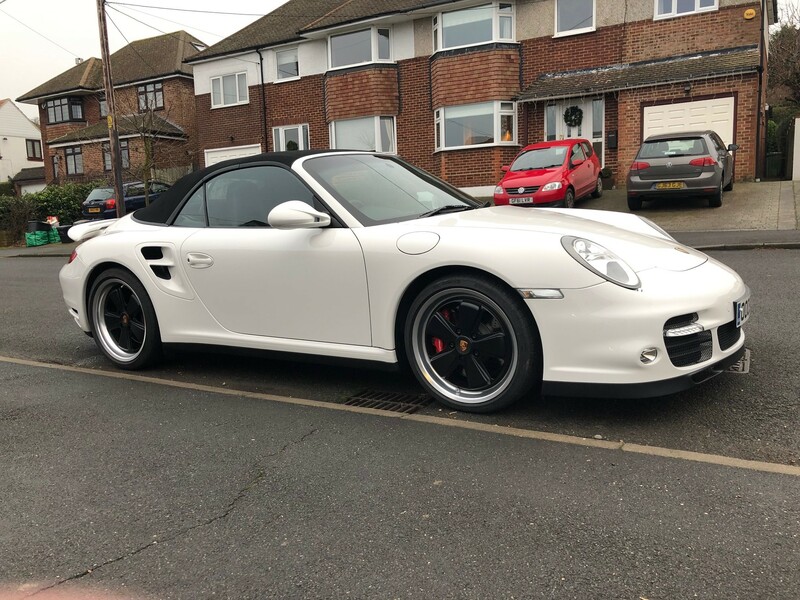 I'm happy for you you to come over and we can fit a wheel for you to look at yourself, I'm also trying to encourage a pal of mine with a narrow body car to do the same over Easter. 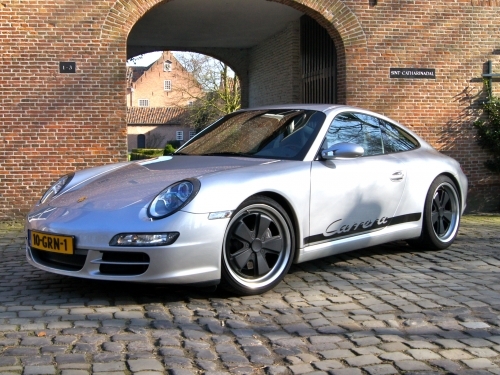 According to Fuchs, the recommended tyre size for a 997 standard body, or 997 Turbo is 305/30 ZR19 so you’ll be fine.